Eat every 3 hours: 6 mini meals instead of 3 regular meals to maintain weight and reduce acid reflux. Take naps: Yes, that is plural! A round of Prednisone will allow 4 hours of sleep at night. Adding a sleep aid caused hallucinations. (Yikes!) I sleep whenever my eyes close and my mind slows down. A nap may vary from 10 minutes to 1/2 an hour and then the medication wakes me up again. Use baby products: I wash my face using only water, just like a newborn’s face. Baby Shampoo – diluted with water will remove mucus from eyelashes when they are stuck together. Vapor Bath – will open up sinuses and allow them to drain when nothing else works. Bedtime Bath – When the Prednisone says, “You’re not tired. Go organize your sewing basket.” The lavender lulls your mind allowing your body to relax. Baby Powder – absorbs sweat. Eczema breaks out in areas that tend to sweat: inside elbows, behind knees. No sweat = no rash. That is why you will never see me sweat…and I loathed P.E. I exercise with 3 fans, that are routinely taken apart and cleaned, blowing allergen free air on me. Vaporizer – the moist air helps keep sinuses, bronchial tubes, and lungs open when I am sick. Carry a change of clothes: I leave a pair of sweats and an extra tee-shirt, (in Ziplock bags), in the van at all times because getting wet and staying in wet clothes will lead to rashes and sinus infections. I’ve used the flylady.net stainless steel water bottles for years. They are double insulated and the ice you put in it in the morning will be smaller, but still intact in the evening. They work just as well for hot drinks. The problem is, they do not have an 8 ounce size that will fit in my purse. 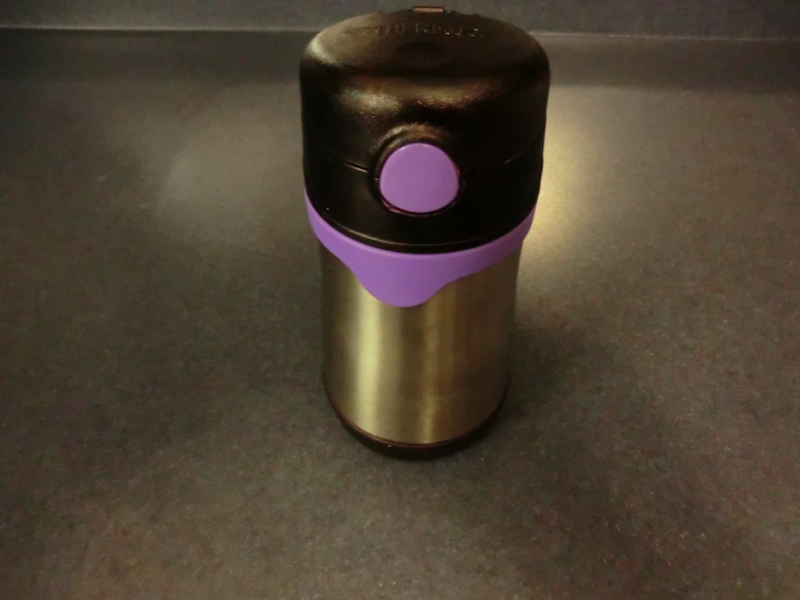 I bought a stainless steel “Sippy” cup; but my granddaughter thought is was for her…and it clashed with my red purse! I colored it, just like a kid would, with permanent marker! 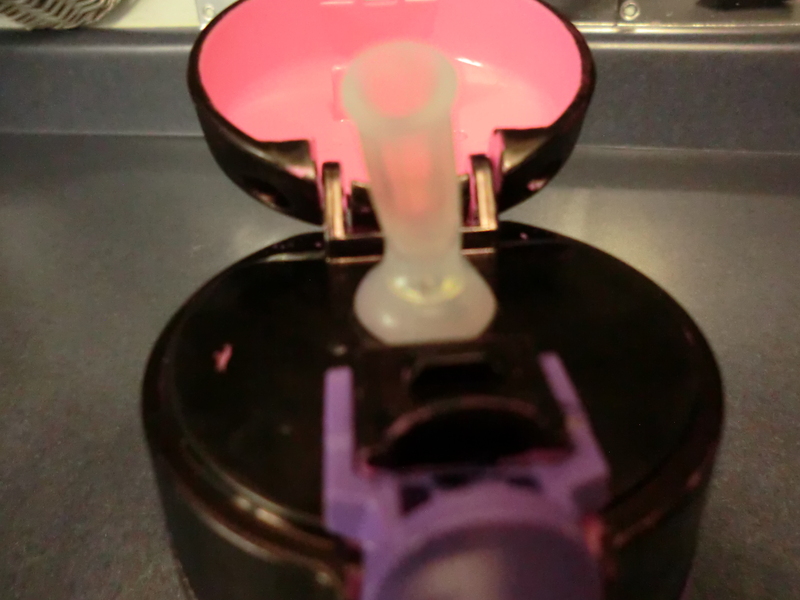 Dyed the pink areas with an extra-large permanent marker and used Sharpie markers on the details. Ididnotdye any areas that would touch the liquid. I didn’t dye the parts touching liquids. 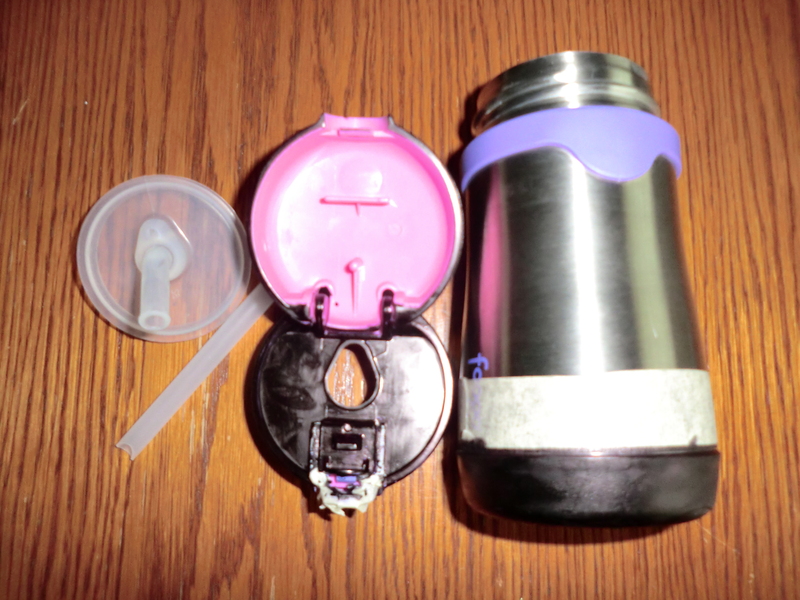 Taped and “Dyed” sippy cup. 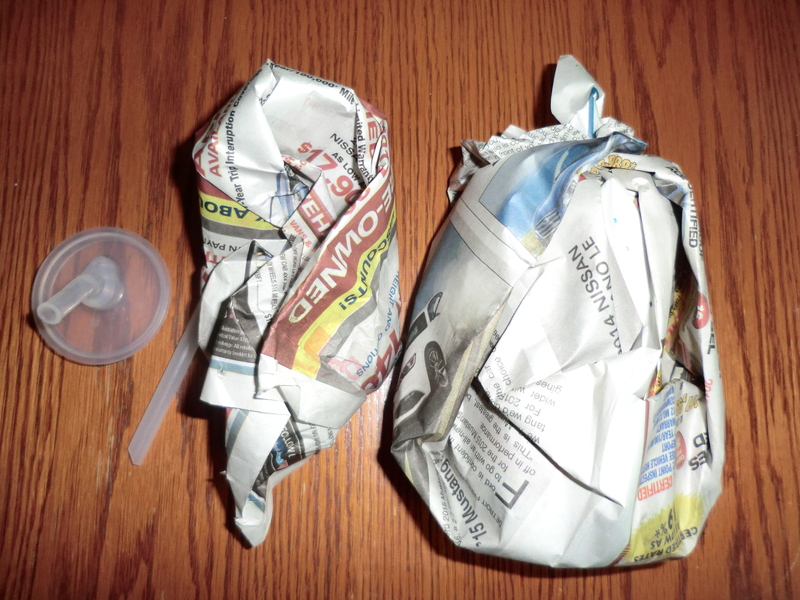 Wrap in newspaper and set in container with wadded up newspaper around it for 24 hours to absorb the marker odors. Newspaper absorbs magic marker odors. Run through dishwasher to set marker, and remove any excess. It is not double walled like Flylady’s, but it will keep drinks cold for hours. This entry was posted in Food, Make It, Use What You Have and tagged Food, Make It, Use What You Have by Frugal Fish. Bookmark the permalink. On airplanes, they tell you to put the oxygen mask on yourself first, and then put one on your child. If we don’t take care of ourselves, who will take care of our children? When we don’t take care of ourselves, we get sick, and that can be expensive!